SAP ERP systems are known for their robust reporting capabilities, but most users are unaware of the number of complimentary SAP tools and reports available, many of them leveraging Solution Manager. These little-known tools can help your organization obtain a detailed look at your ERP usage patterns, recommend underused tools or capabilities, help you optimize your KPIs, provide direction for your SAP roadmap and much more. Fiori Recommendation Report. SAP Fiori is a powerful suite of applications that create a personalized, simplified and easy-to-navigate user experience across platforms. Yet, despite its many advantages, businesses often don’t know where to start with Fiori as they are overwhelmed with the hundreds of applications available and the list continues to grow. The Fiori Recommendation Report is a great tool to help users navigate and prioritize the applications most relevant for their company This report looks at your current ECC usage and identifies the most appropriate Fiori apps to meet your unique usage patterns. The Fiori Recommendation Report also outlines which relevant apps will meet your needs both within ECC as well as if you move to S/4HANA, with recommendations broken down by business area and role. Business Scenario Recommendation Report. Considering a move to S/4HANA? For many businesses, S/4HANA is an obvious choice —but questions remain over how and when as well as what is to be gained by transitioning. The Business Scenario Recommendation Report takes a look at your current ECC usage and highlights the relevant areas of improvement that your business can realize through a move to S/4HANA. This detailed report not only highlights areas for potential improvement, but can help you develop a strong business case for the transition to S/4HANA. Pathfinder Report. If each of the above reports are appropriate to your needs, try running the Pathfinder Report. Pathfinder consolidates the above reports into a single detailed report. Using your unique implementation and usage patterns, the Pathfinder report details the available functionalities not currently in use, KPI baselines and benchmark data with associated recommendations, available upgrades, and more. Also included are detailed Fiori recommendations for ECC and S/4HANA, and detailed information on the ways your business could benefit from a move to S/4HANA. Note: Given The Enhanced EarlyWatch Alert Report only runs on Solman 7.1 SP12 and higher, the Pathfinder Report can also only be run for clients on Solman 7.1 SP12 and higher. The best news is that these tools are available and free to run for any SAP ERP customer. Want support setting up, running, or interpreting the results of these reports? 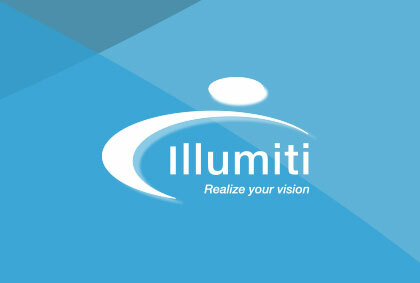 Illumiti is happy to help, free of charge.